Sussex speedster Tymal Mills has been snapped up by the Chittagong Vikings for the Bangaldesh Premier League. 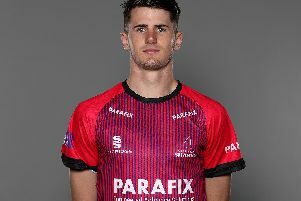 Mills made his England debut this year after impressing for Sussex in the T20 Blast, including a devatstaing spell in the victory against Somerset at Hove where he took the wicket of West Indian superstar Chris Gayle. Vikings, who finished at the bottom of the points table in the 2015-16 season, have also snapped up Gayle, as well as Dwayne Smith and Pakistani Shoaib Malik, both of who played for Comilla Victorians last season, and Rangpur Riders’ Chaturanga de Silva and Mohammad Nabi.